No matter what business you’re in, there are two factors that can never be used individually, nor can they be separated. They are “accountability” and “responsibility,” neither can be separated, because you can’t have responsibility without accountability, nor can you have accountability without responsibility. The minute you separate the two, you make both ineffective. Understanding this one point will go a long way towards the establishment of integrity within (and/or throughout) your organisation. Another reason to understand this point is, those that take responsibility invariable not only become accountable for what they do, but also the way they do it. They’re accountable for the planning, processing, follow-through and conclusion of whatever they attempt – and that adds up to total responsibility for what they’ve done, only because they became accountable for it in the first place. Most don’t understand that it’s primarily the prospects that want to do business with successful people. Not the other way around. Once you build a success cycle in your business, you’ll attract more business overall than you’ll need to canvass. The reason for this is, successful companies are characterised by an optimistic and highly confident corporate culture. You can sense a winner the minute you make contact. Phones are answered promptly and courteously. The premises is clean and well lit. Even the employees see themselves as a team of achievers and project this image. The law of Positive Effect in turn creates spirals of positive performance and a high level of personal achievement, growth and confidence. The reverse to the Law of Multiple Effect is more than just apparent here. Just as the winning companies communicate success, failing firms also send of unmistakable messages. But theirs is one of doom, gloom and flagging morale. Those who lack confidence are anxious about the most minor things and subsequently perform inefficiently. Their enthusiasm is low, they lack ambition, and demoralise others through their broken spirit. The Law of Multiple Effect creates a continuing spiral of negative performance. These businesses spend their time trying to survive and/or break even. Their only way out is a 90 degree change of attitude. They need to act as if they believe there is better future, and it will come – providing they believe. 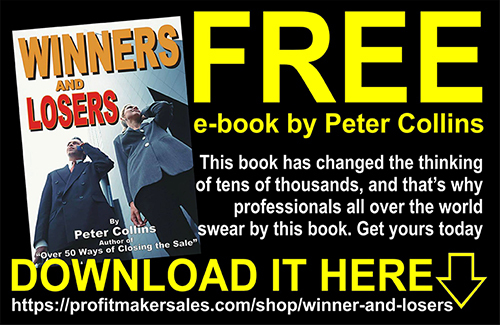 In different sectors of this book there have been mention of the power of referrals – yet so many people still don’t want to believe in the power of this one sales tool. 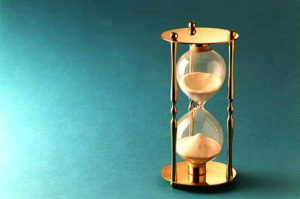 And even though it has been used since time began, there is a greater reluctance to use it than in times past. I have no idea why. So then let’s investigate its effect in the right hands. Let’s assume one of your satisfied customers passes on four referrals over a few months – in my experience that’s a conservative estimate. Also assume that you win new business in perhaps two of the four, or even one of the four – that would have the ability of doubling your existing customer base every few months. Thereafter, this Law of the Multiple Effect can grow alarmingly. So why don’t more people use it? Beats me, I seem to have always broken sales records, and the majority of those were as a direct result of referrals. There are also two other factors attributed to this Law that most are either ignorant of or overlook. They follow as the next two points. The difference between a stayer and a non-stayer is – the non-stayer believes the sale is over when the sale is made – but the stayer knows that’s when the selling and follow-up begins, and whatever marketing you do following the sale is where the real profits are made. Selling to existing customers is usually easier and far less expensive. Anyone with reasonable accounting knowledge knows the dearest part of the sales and marketing budget is to attract and sell to a new customer. Those same acquisition cost can reduce substantially if that customer can be sold a subsequent time.